Some personal projects. Click pictures to play. 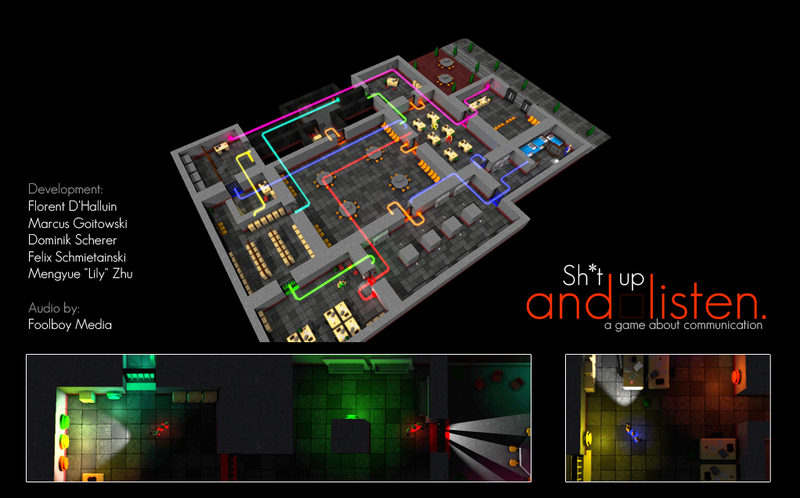 Co-op action/puzzle game made for the Global Game Jam 2015. 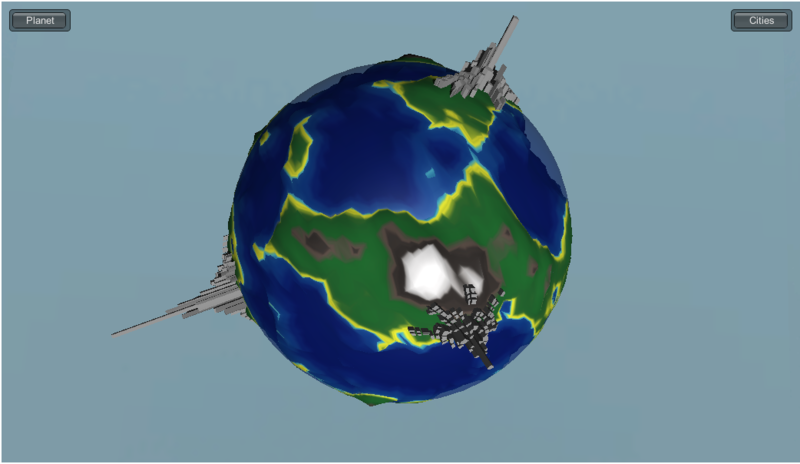 Planet generation toy made (loosely) for the Procedural Generation Jam 2014. 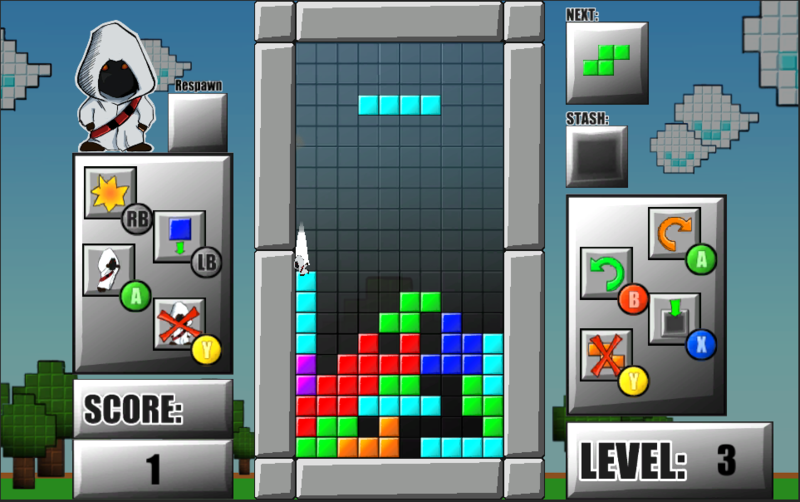 Two player asymetric tetris made for a local game jam at BlueByte. Small planning/strategy game made for Ludum Dare 30 (“Connected worlds” – 72 hours). 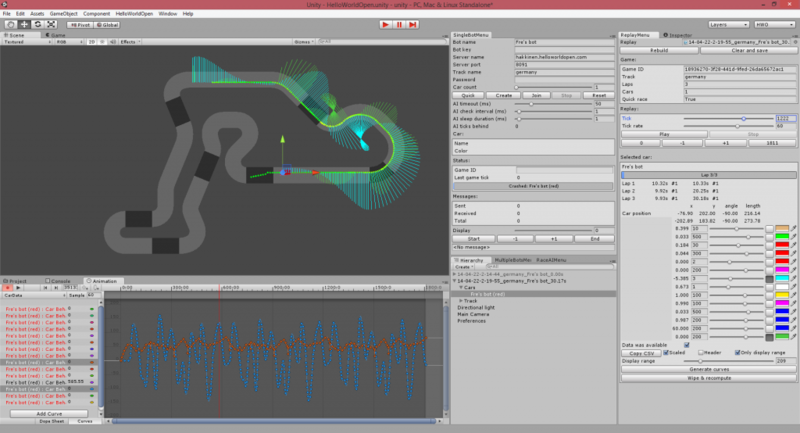 Racing game AI for the Hello World Open. Placed in top 100 out of 2000+ teams. Includes UI/tools for real-time data analysis, replays, machine learning. 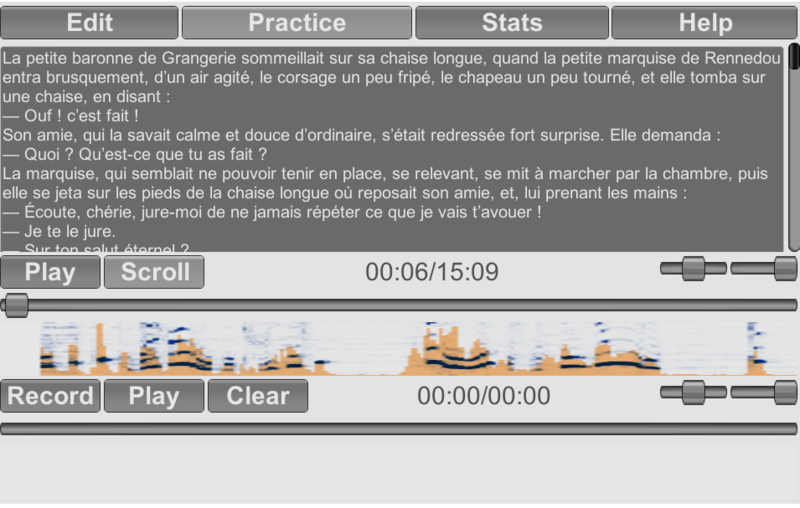 Practice tool for speaking foreign languages, compares pronunciation between a recording and a reference (e.g. audio book). Zombie apocalypse simulation made in 7 days for the Experimental Gameplay Project (Nov 2010) themed on Day & Night. It was made in C++/Qt and involves flocking, space partitioning, multi-agent architecture. Display information as a tree, used as an extended to-do list and to keep quick notes about things. 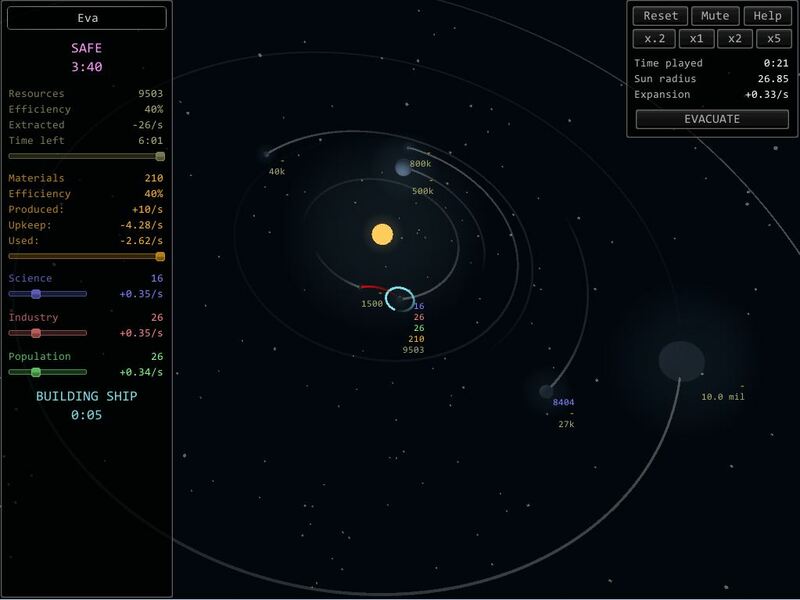 This is cross-platform (Windows, Linux, Mac) and can run as a Java applet in a web browser. 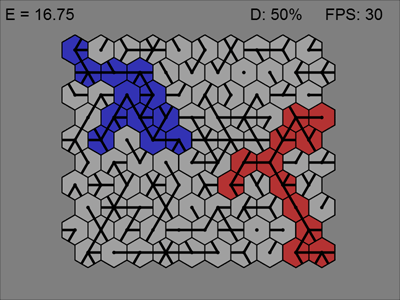 Quick game built in Processing. Includes AI solvers (genetic algorithm and simulated annealing). Compatible with both Processing and Processing.js (Windows, Linux, Mac, modern browser). Micromanagement bot made for the Starcraft AI Competition hosted by the Expressive Intelligence Studio at UC Santa Cruz for the AIIDE 2010 conference. 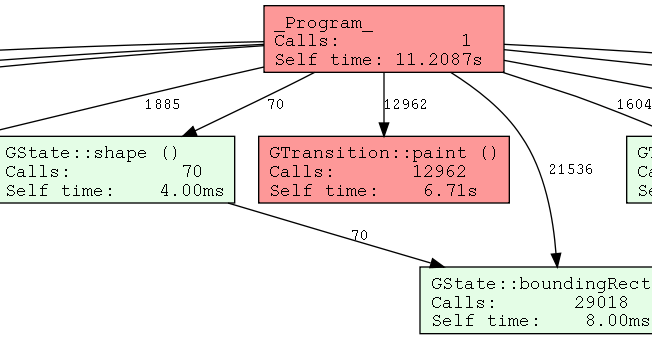 It is based on a multi-agent model, where each unit is an independent agent modeled by a state machine. Units react to their environment independently and are coordinated using generic mechanisms. This was a two-person project written in C++. Our AI system entered and won tournaments 1 and 2 of the competition (micromanagement and tactics). 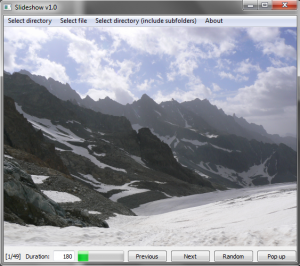 Compact tool that displays images from a folder. I couldn’t find a good program to display reference pictures to draw/paint, so I wrote one. Licensed under GPLv3. C++ Benchmarking Suite for Linux, originally developed for Vaucanson. It provides tools to profile C++ code and analyze its performance (CPU time and memory consumption). This is a simulated annealing demo program. It shows the step-by-step execution of a simulated annealing algorithm on a simple problem (ordering of components on a grid). 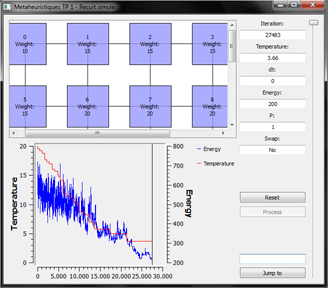 The GUI was written in Python (PyQt + PyQwt). It works with Python 2.6 on Windows, Linux, Mac OS. 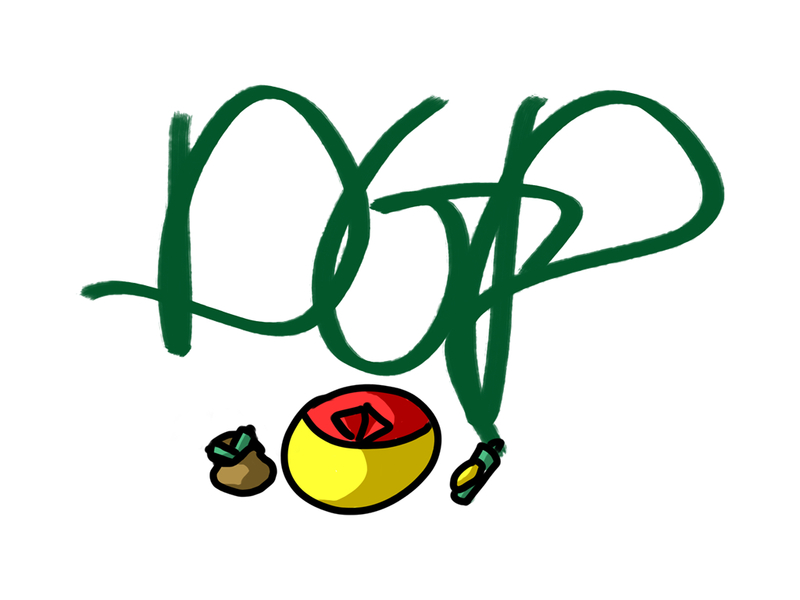 FPS game concept written in my first year of engineering school as an introduction to programming and working in teams, or rather as an excuse to write something fun and draw silly dudes in paint.